Vietnam stretches over 1,000 miles from north to south and there are a multitude of diverse landscapes to explore. In the north, you can trek on spectacular rice terraces in Sapa, sail on the UNESCO listed Halong Bay where karst peaks grow from the sea, and cruise down Vietnam’s Red River. The centre of the country has dense jungle juxtaposed against stunning coastlines and golden sand dunes. South Vietnam is where the Mekong River joins the ocean, so the area is a verdant delta where locals make a living on the water. Even the cities of Vietnam are wonderfully diverse in their own right. Hanoi in the north is busy and chaotic with mopeds and aromas, yet brimming with culture; exactly what a city in Asia should be like. Hoi An is a sleepy port where the entire ancient town is UNESCO listed for its colourful buildings. 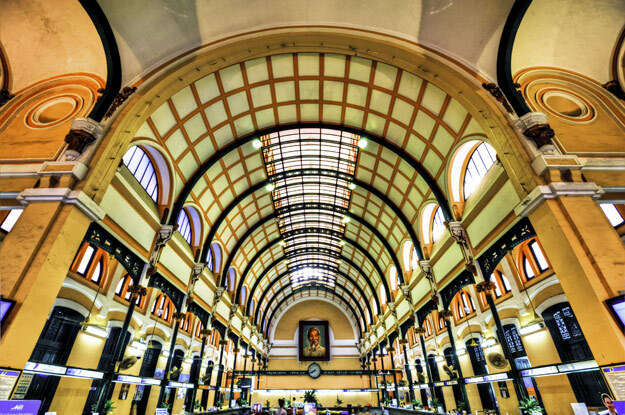 In the south, the Saigon (or Ho Chi Minh city) is a juxtaposition of colonial French architecture and the modern noise of cars and an almost completed metro system. However long you choose to holiday in Vietnam, you’ll be sure to experience all manner of natural wonders. There’s a wealth of different sights and attractions to visit in Vietnam – and there’s something for everyone! For foodies, why not take a food tour around Hanoi’s epic street food scene? Or enjoy the succulent seafood on Halong Bay? 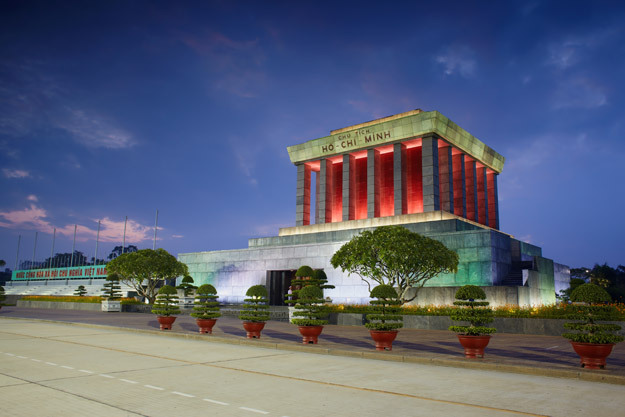 For those who wish to find out more about the country, there are many museums dedicated to its history including the sombre War Remnants museum and Reunification Palace in Saigon, and the Hoa Lo Prison and Ho Chi Minh Mausoluem in Hanoi. Two good half day trips are to the Cu Chi Tunnels near Saigon – where the Viet Cong enacted guerrilla warfare on the US – and the ancient My Son ruins near Hoi An, which date back to the 4th century. Think a mini Angkor Wat in the middle of the Vietnamese jungle! 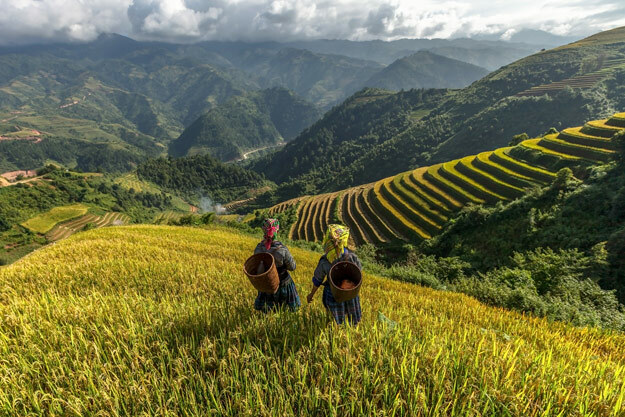 Those looking for adventure can trek the rice terraces of Sapa or Hoang Su Phi, or ride pillion style on a moped in Saigon: an ultimate experience in its own right! If relaxation is on your mind, then the stunning beaches of Nha Trang and an overnight cruise on emerald Halong Bay is a must. A trip to Vietnam is certainly the holiday of a lifetime. Did you know that Vietnam is one of the world’s largest exporters of coffee? You would think that a country in Southeast Asia would have a place for tea in their heart but in Vietnam it’s all about the coffee; and strong coffee at that! Introduced by the French, coffee was quickly embraced by the locals and now is a staple drink in the country. Drank both hot and cold, with the addition of sweet condensed milk, egg or coconut milk, it’s not the coffee you may recognise but it’s delicious regardless. It’s a must try for any tourist in Vietnam, especially local style sitting on a tiny stool on the side of the street as Vietnamese life moves forward. 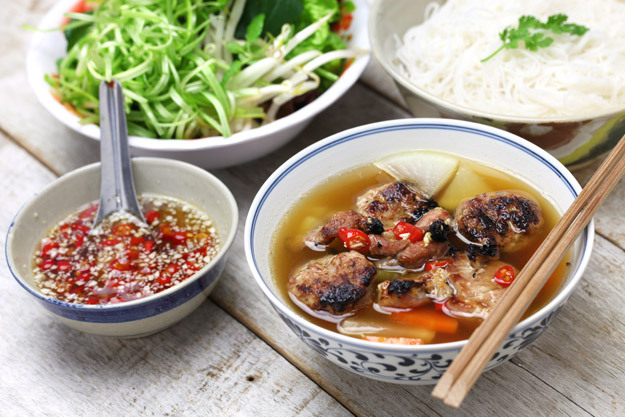 On the food front, Vietnam cuisine is at the heart of its culture. A flavour unique to Southeast Asia, it’s not as spicy as Thai food but it’s just as vibrant. A balance of sweet, sour, hot and salty tones, popular ingredients include pure cane sugar, fish sauce, fresh chilli, tamarind and lime juice. Popular dishes include Pho – a famous chicken rice noodle dish – Bun Cha – grilled pork served over a rice noodle soup – and Bahn Mi – spicy grilled meat served in a French baguette! You definitely won’t go hungry! If you talk to someone who has been to Vietnam, one thing is always mentioned: how friendly the Vietnamese are. From sharing their local insights to going out of their way to help you on your way, their warm characters let you further enjoy your holiday. Their positive outlook shines through as they talk about living and working in Vietnam. As you travel up or down the country you’ll gain an interesting insight into their lives. It’s always a funny moment when you see a tiny moped with 4 people on it, or even a moped with a fridge hanging off the back! When you think of Vietnam’s history, you automatically think about the Vietnam War. But its history stretches beyond this, back to a time where China controlled much of northern Vietnam and the Champa Kingdom was what modern central and south Vietnam is today. Japanese and Portuguese settlers arrived in the 16th century, followed by the French in the mid-19th century. This culminated in a war that lasted for 8 years from 1946, where Vietnam was freed from French control. Finally, the US Vietnam war of 1955-1975 eventually culminated in the reunification of the north and south, which is the Vietnam of today. The Vietnam of modern times is bright and vibrant, and it would not be the country it is without the events of its history. Everywhere you look you can see influences of the French, from food to architecture, and the town of Hoi An has a Japanese Bridge and a few Chinese shrines. Vietnam has grown into a unique holiday destination of welcoming people who wish to share their knowledge of their past in their museums and tales. It’s a fascinating atmosphere as you wander the numerous attractions dedicated to its history, but what shines through is the people’s tenacity for their future, one that is modern, fair and utterly brilliant. 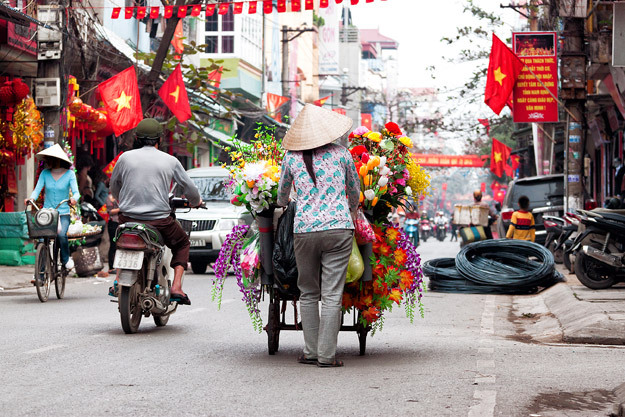 Are our 5 reasons to visit Vietnam making you want to choose this as your next destination? We offer a choice of escorted tours to Vietnam lasting from 10-18 days which visit all the main highlights plus those off the beaten track. 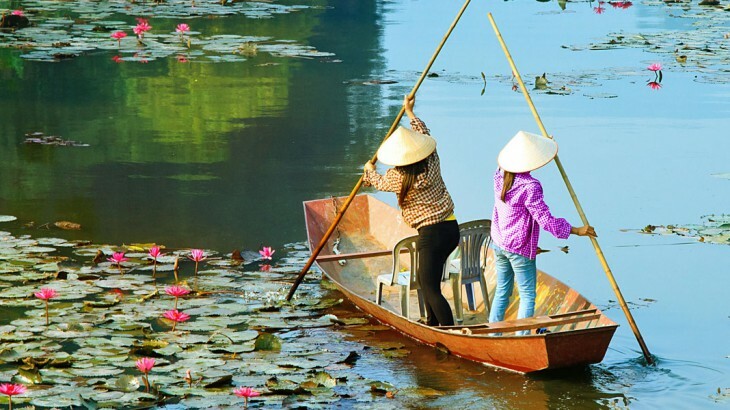 Our 12 day Vietnam at a Glance tour is the perfect introduction to this wonderful country, with visits to Saigon, Hoi An, Hue, Hanoi and finishing with an overnight cruise on Halong Bay. Our 16 days Vietnam Trails tour sees all of the above plus spends 2 nights in Sapa, where you can walk along the magnificent rice terraces. Pair Vietnam with its neighbour Cambodia on our popular Angkor to the Bay tour, where you can discover the crumbling Angkor Wat with all the main sights of Vietnam. 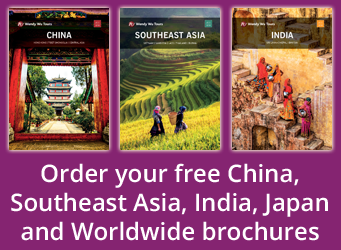 Book an award winning tour to Vietnam with the Asia experts, Wendy Wu Tours. 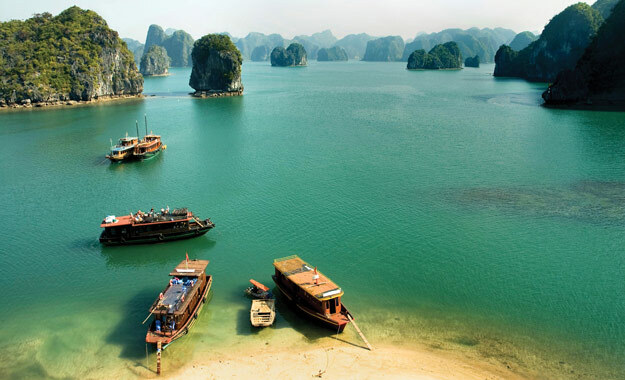 Our fully inclusive, escorted Vietnam tours visit all the major sights for an unforgettable holiday. Vietnam culture, history, top things to see, travel, vietnam news. permalink.